That last bit may be slightly unsubstantiated, but you won't know until you try it! For starters, you'll be getting the base game, which sees you guiding the Gotham Detective as he takes on Brainiac with the help of Hal Jordan and his Lantern Corps posse. 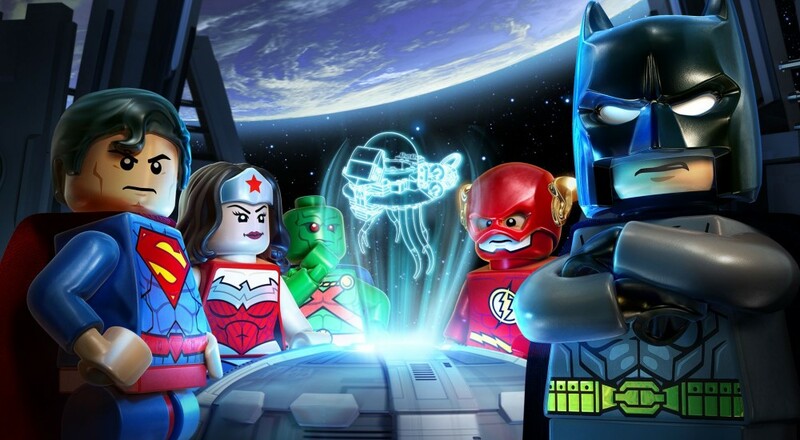 When you're good and finished with that, you can kick it with The Squad (Lego's cipher for Suicide Squad), followed by the topsy turvy world of the Bizzaro League (Bizarro's wacky version of the Justice League). Next up, you'll step into the shoes of Kal-el's pa, Jor-El, as he defends his home and infant son from the encroaching armies of General Zod. Smash cut to the 75th anniversary celebration of the Batman franchise, which is somehow being led the Joker and Harley Quinn. Once you've gotten a glimpse of Batman's history, it'll be time to take a peek into the Batman of the Future, starring Terry McGinnis and his slick techno-driven style of crime fighting. A couple DC media tie-ins round out the list, with the "Dark Knight" DLC allowing you to relive all the iconic moments the trilogy's final installment had to offer, and "Green Arrow" giving you control of Olly and Slade as they're trapped on an island awash with danger. Look, what I'm getting at is that this is a crazy deal for fans of either Batman or Traveller's Tales' Lego games. Like many other entries into the series, the game sports two player local co-op, so you and a friend can submit yourselves to the Lego Batman 3 equivalent of a sugar coma for less than the price of falling into an actual real life sugar coma. Also it's probably a little safer.